Before the flurry of tour activity begins, I thought I’d write a quick update on the blog. First and most importantly, the wait is almost over! The House of Hades will be released in the UK, US, and Canada on Tuesday, October 8! I have confirmation it will also be released in Brazil this day. I believethe English language edition will also be available that day (or soon after) in most countries that usually get English editions, meaning Australia, New Zealand, South Africa, India, and the Philippines, but I have no direct confirmation about that. As always, you should check with booksellers in your area to ask them when the book will be available. As for other international markets, I don’t usually get information about their release dates. Remember, it takes almost as long to translate a book as it does to write it in the first place. That’s why the international editions are often a year or more behind. You will need to ask a local bookseller when the book will be available in your area. Spoilers: Everyone hates them! I hate them. The fans hate them. So please, if you happen to get an early copy of The House of Hades, don’t spoil the story for everyone else. Accidents happen with the release date. When you’re dealing with millions of copies of a book, some of them will inevitably get out before they are supposed to. If that happens to you, well, you’re lucky, but ssshhhhhh! We don’t want to know about it. We certainly don’t want you telling everyone the plot of the book. Another point about this: Readers, don’t believe every rumor you hear on the Internet. In fact, it’s pretty safe not to believe any of them. I know you guys like to call me a troll, but the real trolls are the people online who spread false reports trying to get you worked up about the book. From some of the supposed “spoilers” and fake book excerpts I’ve seen online, you would think that every character in The House of Hades gets killed several times. These aren’t spoilers. They are troll droppings! So if somebody claims they know what happens in the book, my advice is: 1) don’t listen 2) don’t believe 3) wait and read the book for yourself. When the book does come out on Oct. 8, I hope you guys enjoy it. There will be some eye-popping surprises. I promise you that. But after you’ve read the book, I think those surprises will make total sense to you. 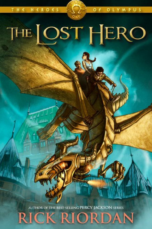 If you are coming to an event, make sure you read my blog post so you know what to expect: http://rickriordan.blogspot.com/2013/08/what-to-expect-and-not-expect-on-house.html. Due to the size of the crowd, there won’t be a signing line, so leave your books at home. There will still be signed copies of The House of Hadesavailable, but I won’t be able to personalize your books and meet each of you individually. As much as I’d like to, when you’ve got an intimate crowd of one thousand or more, it just can’t be done in the time that we have. As usual, my apologies if I’m not visiting your city. We try to visit different places every tour, but there’s only one of me, so obviously we can’t get everywhere. Most of the time, I have to stay home to continue writing. That’s the only way I can keep turning out a book a year! International tours, for the foreseeable future, aren’t possible either. I can’t tour and write at the same time. Like Percy, I’m pretty ADHD and I just can’t concentrate on both things at once. So for now, the writing has to take precedence. Having said that, I look forward to seeing you if you are coming to an event, but even if you’re not, the best way to “meet” me is to read the books. Each novel is a private conversation between the reader and me, so I’ll look forward to chatting with each of you individually very soon. 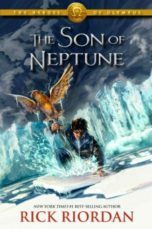 I’ve finished work on Percy Jackson’s Greek Gods, which is a collection of the original Greek myths told in Percy Jackson’s point of view. Our favorite Seaweed Brain will tell you everything you’ve ever wanted to know about the major gods – the good stuff, the bad stuff, and especially the embarrassing stuff – all in his trademark snarky sarcastic way (which of course bears no resemblance to the way this author thinks.) 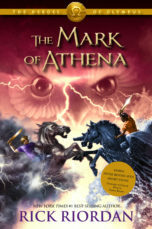 Percy Jackson’s Greek Gods will be released August 2014. I’ll post more details as soon as I can. On the tour, I’ll give you a sneak peek. If you can’t make the tour, I’m sure the sneak peek will find its way onto the Internet. The Heroes of Olympusseries will have one more book, capping off the five-book story arc. 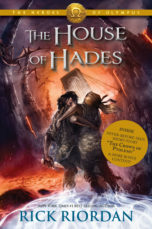 The title of the fifth book will be revealed at the end of The House of Hades, the same way I’ve revealed all the other titles. Book five is next on my writing schedule, which is why I have to make the tour short so I can get back home and get to work! 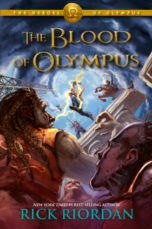 The book will be released October 2014 – one year after The House of Hades, again, just like all the other books have been. After book five of Heroesis complete, I will at long last launch into my Norse mythology series. The first volume in that series is scheduled for 2015. It’s way too early to tell you anything else yet, but I’ve got the series mapped out and I can’t wait to get started on it. As far as other projects I might write, believe me, I’ve got more ideas than I’ll ever be able to write in a lifetime. The problem is finding time to write them all. I can’t really speculate what will be next after the Norse series, but I will keep you posted as things develop. The Riordan family relocated to Boston this summer, as some of you read on the blog. Our new place, which we dubbed Athena House, already feels like home and we’re enjoying our new city very much. Speedy the dog loves walking through the park (or pullingus through the park, more like.) Our sons Patrick and Haley are liking their new schools. And I’m finding it a great place to write! Tomorrow, Sunday, I’ll be participating in the Literary Lights event for the Boston Public Library. I believe the event is sold out, but if you’ve got tickets, I’ll look forward to meeting you! And now, back to writing, but I’ll keep you posted from the road once the tour begins.